On the rocky west coast of the Isle of Lewis, looking out to sea, stand 9 traditional thatched cottages that together make up Garenin Blackhouse Village. 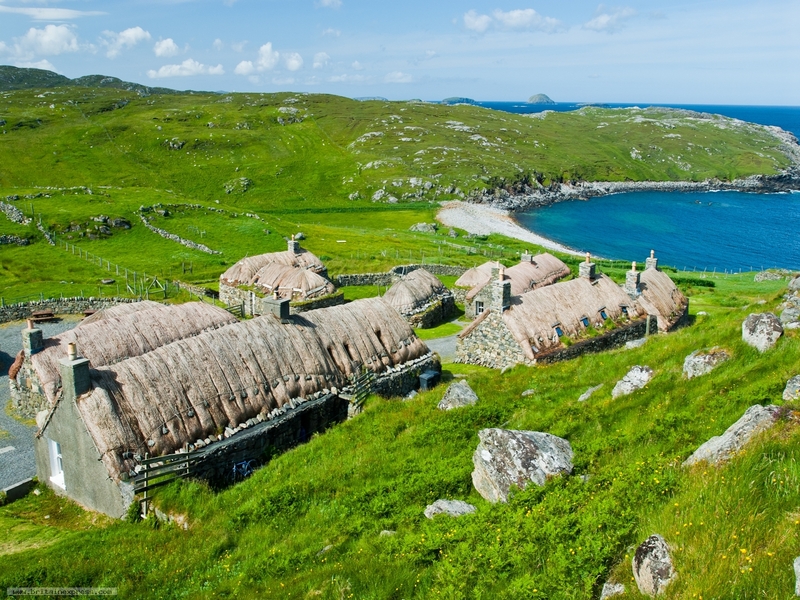 The village is an attempt to show how people lived on Lewis for centuries. In this case the cottages were inhabited right up until 1974, and they have been restored so that you can get an idea of how the islanders lived and worked.